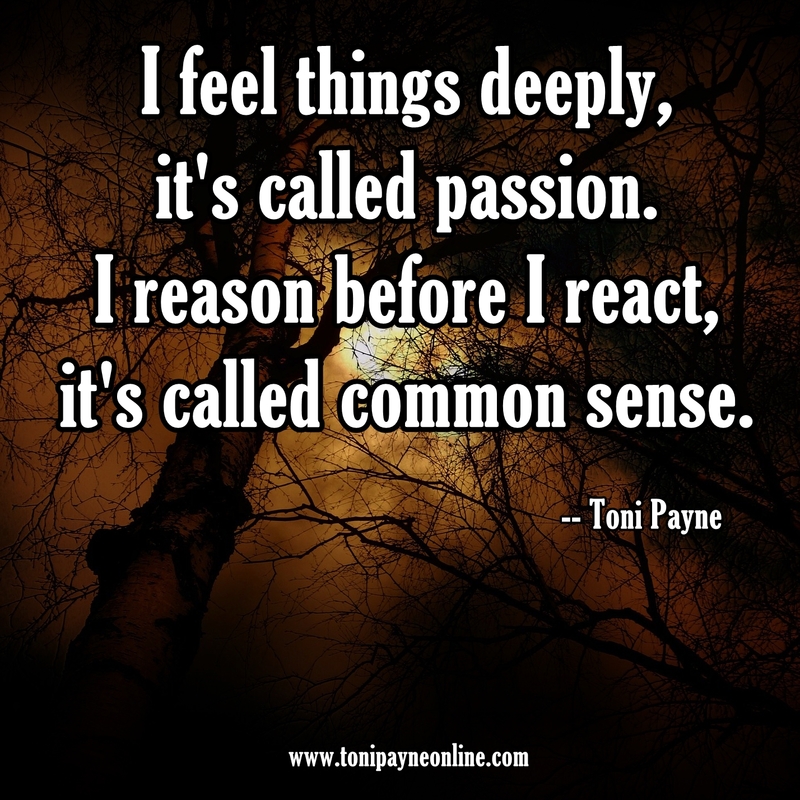 Picture Quote About Passion and Common Sense – I feel things deeply..
You dont reason for common sense. You just know the right thing instantaneously. Common sense is discernment. I like your show. You have lots of live and energy. You are seductive. Very seductive. You are honest and spontaneous too. All of these observation i made from viewing just one episode of your sow. The episode with the young girl with 20 inch waist.hope my observation dont shift too hard as time goes on. I think you use been spontaneous as your selling point. i admire you too. You are a very confident woman and know how to seek for happiness. The most important thing for any woman is to be confident in herself and kill her insecurities. I like us to share thoughts. Hope i get a response from you.. Am contacting you with a phony id but yu could reach me on this email arthurbutterfield@gmail.com.. am a yahoo boy from Warri… am honesty to you because i think my honest would impress you, also psychologically i think you can relate with me very well.we could be cool virtual friends. Also i fell for your seduction.am crushing on you. if you open to me i would be ur number one toaster. Have a nice day gorgeous 37 inch waist lady..
hope you dnt post this…..i was carried away damn… crushing on ur yu……..